I’ve been playing a lot of Pikmin 2 recently, and it’s held up surprisingly well. 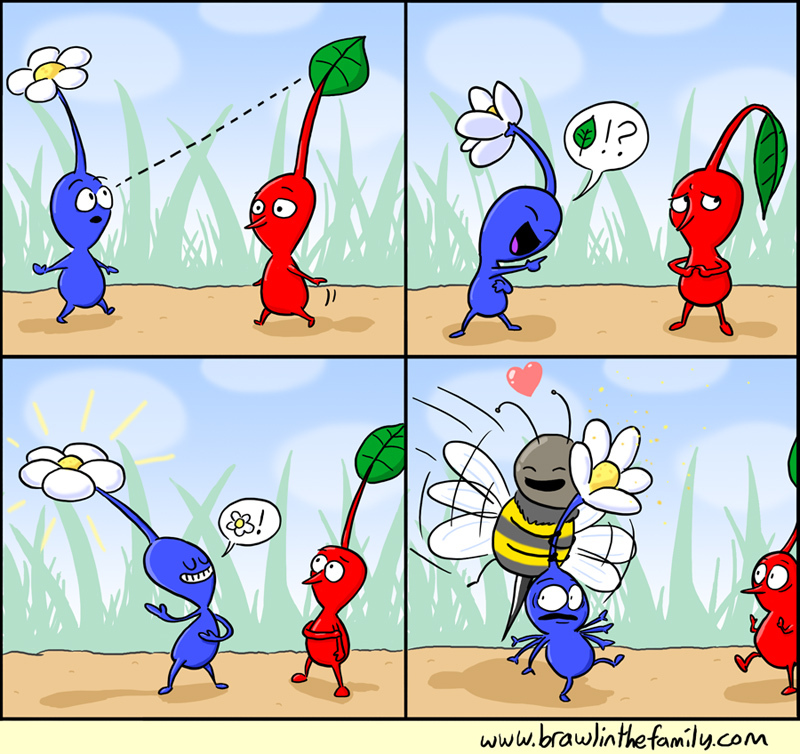 I like how this comic came out, although I’m wondering if the fact that there’s an actual bee coexisting with the Pikmin will bother anyone (then again, the games heavily imply that the “Distant Planet” is Earth, so…). And with that, I’m off to Eau Claire and NoBrandCon! Chris and I will be there all weekend in our own booth full of merchandise, and I’ll even be hosting a panel on Saturday! Hope to see you guys there.